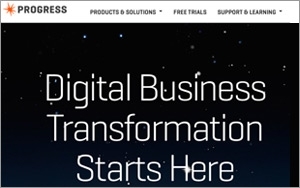 Progress, a global software provider, today announced upgrades to its content management and customer analytics platforms. The upgrades to Telerik Sitefinity CMS and Digital Experience Cloud adds better segmentation capabilities and productivity tools to Progress’ suite of business management solutions. Marketers can leverage the new platform to create personalized Web pages for consumers based on customer data. Telerik Sitefinity also allows users to leverage data-driven recommendations to trigger email workflows in third-party marketing automation systems. This means that email marketers can now deliver both personalized email messages and Web site experiences to their customers. This could be an incredibly powerful addition to email marketing since 72% of consumers are frustrated when they receive generic and irrelevant marketing, per Autopilot. Feature updates of Telerik Sitefinity CMS and Digital Experience Cloud include extended personalization and engagement capabilities, new segmentation and productivity tools, and better support for Microsoft Azure Web App and Amazon Cloud. Marketers can leverage the new segmentation capabilities to engage with customers by creating relevant content from each target group a consumer might belong to, instead of just one high priority segment. Productivity tools also allow users to reuse personalized content across multiple web pages. This enables marketers to maximize potential outreach and engagement by publishing more personalized and targeted content, faster. Progress’ analytics have also been upgraded to allow marketers to measure the ROI of their new personalized content, and to adjust their strategy if needed.